eTeknix has teamed up with Evga to gift one of their fans with a brand new gaming graphics card! 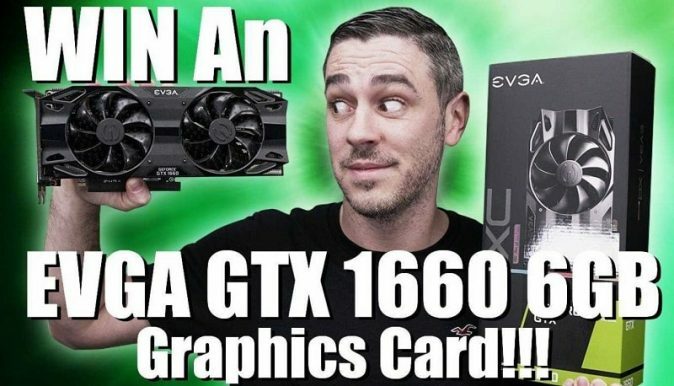 To enter in their latest EVGA GTX 1660 XC Ultra 6GB Graphics Card Giveaway grab your free entries by following few simple steps listed down below! EVGA GeForce GTX 1660 Ti & GTX 1660 graphics cards offer you more ways to keep your system cool than ever before. Offering a variety of fan choices, heatsink sizes, and cooling technologies, you can select the card that fits your system perfectly. Need more horizontal space? EVGA GeForce GTX 1660 Ti & GTX 1660 2.75 Slot Cards give you more front-to-back space without sacrificing cooling performance or acoustic noise. To enhance the cooling using a single fan, these cards use a taller fan hub specifically designed for the thicker heatsink to apply more force while keeping a lower noise profile. One winner will be selected at random and will be contacted via e-mail. The winner will have 7-days to respond. If no response is received, another winner may be chosen!